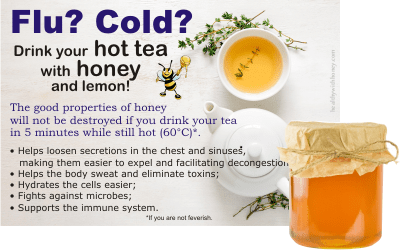 Wondering how to prevent flu using something natural or if you can drink a hot tea with honey and lemon without the risk of destroying the good qualities of honey? This article tries to answer your questions. Honey, lemon and hot tea make a natural treatment for flu, reducing symptoms, fighting the microbes and sustaining our immune system. It has been used for centuries and though it sounds too simple, it really is efficient. When having a cold, drink a lot of tea! Lemongrass, ginger, lemon balm, sage, lemon verbena, linden, blackberry even black tea! What ever you have and like. Make various teas every day, 5 to 6 cups of tea. Too much? Well, when you have a cold you need to be well hydrated. The best way to do it is to drink water at body temperature. And even better, teas, infused with all the healthy compounds of plants. 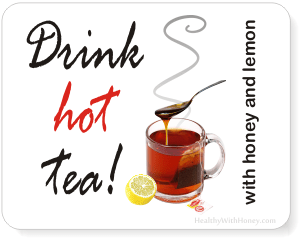 From all the teas that you drink a day, in 3 of them make sure you add raw honey and lemon juice and drink them hot! With an exception. If you are a heavy smoker and drinker (both of them) then never drink anything very hot. Not only teas, not even soup or coffee. There is a great risk of getting esophageal cancer (a five times greater risk compared to people who don’t have these habits)! In a recent study conducted by Dr. Jun Lv, an epidemiologist at Peking University Health Science Center in Beijing, suggested that frequently consuming scalding liquids may result in long-term injury to the cells lining the esophagus. Dr Lv’s research also shows that “daily hot-tea consumption — even if it was served burning hot — was not associated with an increased risk of esophageal cancer in people who were not smokers and did not drink alcohol heavily”. What does very hot mean? It’s the temperature hot beverages are usually served in the US: at temperatures between 140 and 160 degrees F (60 to 71° C). Still steaming. Wait until it cools a tad before imbibing. Even if you are not a drinker and a smoker. There really is no point in burning your throat (unless you are masochistic!). Simply hot is enough to trigger good benefits for health. Why is hot good for colds and flu? 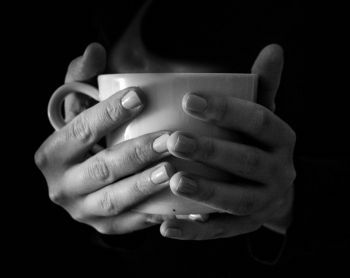 Tradition and science both agree: hot drinks provide helpful relief for most cold and flu symptoms. Does heat destroy the good properties of honey? This is exaggerated. Heat has indeed a bad influence on some of the antimicrobial properties of honey, mainly on hydrogen peroxide activity. Nevertheless things do not happen instantly. It takes 15 minutes at a temperature of 70° C to destroy the hydrogen peroxide activity in honey. 70° C is a very high temperature, nobody can drink anything without serious burns. 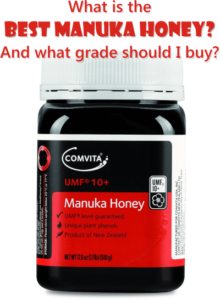 Are the enzymes in honey affected by heat? According to a 2000 study, heating honey at 90° C for 8 hours completely destroys the invertase activity and antimicrobial properties, rapidly reduces the diastase activities and causes changes in carbohydrates. (more on enzymes in honey). But this is definitely not the case of a simple tea. You don’t put honey immediately after you pour hot water and you don’t keep it at that temperature for 8 hours! Pasteurization of honey is a process that is not done in 10 minutes, either. 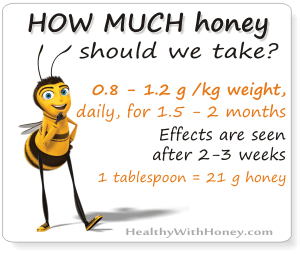 It is rightly said that shelf honey is not real honey because it was processed, especially heated and thus destroyed. But the pasteurization process takes time and this is not the case with our 2 minutes tea. The damage done during this time is minimum. Not even is hot tea with honey recommended for colds and flu but it also makes a topical treatment against nasopharynx colonizing pathogens, S. pneumoniae, S. pyogenes, and S. aureus associated with respiratory infections. Studies by Mitchell TJ. et al, 2003, Bogaert D et al., 2004, Alandejani T et al. 2009, Skråmm I et al., 2011. Against Streptococcus pneumoniae, a short heat treatment (68 °C, 15 min) of 60% willow herb, heather, and buckwheat honeys, did not affect their antimicrobial activity. Heating did not reduce the bioactivity of the willow herb and heather honeys against S. pyogenes. Heating did not reduce the bioactivity of the buckwheat honey against S. aureus or MRSA. 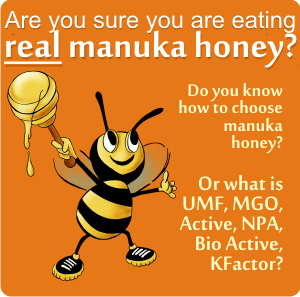 It is known that high osmolarity, low pH, and hydrogen peroxide are the main antimicrobial factors in honeys. But which of them are the most important, the ones that are not affected by heat? Because heating reduced some, but not all the bioactivity of the tested honeys, it gives us a clue that hydrogen peroxide may have a role, but there are also other contributing antimicrobial factors in these honeys. Researchers found that the anitimicrobiala activity of buckwheat, heather, and willow herb honeys against these bacteria was not due to high osmolarity or pH. Phenolic compounds may contribute to antimicrobial activities in honeys, as it was shown by Estevinho L et al in 2008. But in the studied Finnish honeys only very small amounts of phenolic acids, benzoic acid, and flavonoids were present. The total concentration of the phenolic compounds in the two other active honeys against all the studied bacteria, willow herb, and buckwheat honeys, were very low, 0.65 and 2.91 mg/100 g of honey, respectively, and thus phenolic compounds do not explain their antimicrobial activity. Unknown active components are still to be found. It was shown that the antimicrobial activity of honey is also attributed to microorganisms call bacteriocins, which are present in honey. The bacterium H215 found in some honeys produces an antifungal compound, bacillomycin, which proved to be stable over a broad pH range and heat treatments up to 100º C.
See antibacterial factors of honey. 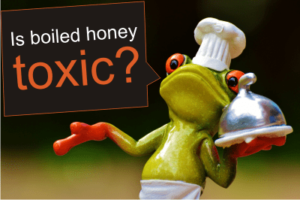 Honey should not be reduced only to hydrogen peroxide. And even if this is decreased its health benefits are still there. 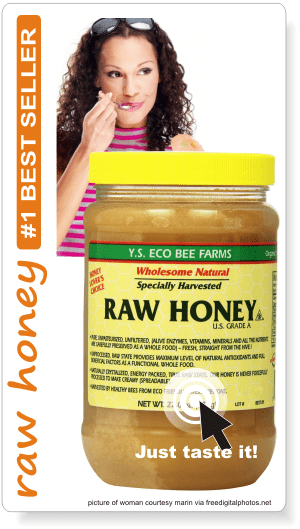 The antimicrobial activity of this honey is not affected by heat treatment, catalase or proteolytic enzymes (hydrolysing glucose oxidase). These are the findings of Huttunen S et al., 2013 and Paulus H. S. Kwakman et al, 2010. “I am a 49 yr doctor by profession and was informed that I have impaired blood glucose in Jan 18. I had been exercising and dieting a bit since Jan 18, when my weight was about 72 kg. At that time I was in Melbourne and fell sick with a bad cough and cold. The people I was staying with gave me honey and lemon in warm water for 2-3 days that I was unwell. Every time I looked at food, I felt repulsed and sick. For those few days I thought to myself – maybe I have jaundice or something because my appetite was totally gone. I would force myself to eat a bit through the day. My appetite slowly improved over the next week and returned to normal by end of the second week. I shed off a lot of weight during those 10 days – two weeks of my trip. Now am down to 60 kg and am no longer suffering from impaired glucose tolerance. Of course besides the 2-3 days when I was unwell and didn’t move around much, I was traveling around Melbourne rest of the time using a combination of walking and public transport. 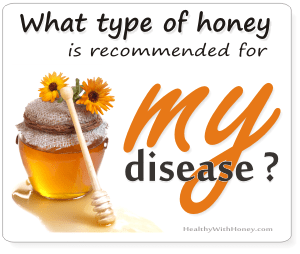 I attribute my sudden weight loss to the honey that I had…because even though I am back at home, I have not gained it back at all, despite not consuming it now. According to naturalnews.com “flu fear-mongering campaigns are designed to scare the public into becoming willing pin-cushions for the corrupt vaccine industry.” As we are nothing but simple pawns here, this can be very well true. So, before getting ourselves shot with the vaccine, take into consideration that simply eating right, avoiding toxins and living a healthy lifestyle is far more conducive to good health than any cocktail Big Pharma could ever come up with. Oh, and they agree to this. Cocoa contains biologically active ingredients that have broad-spectrum antimicrobial activity, which includes an inhibitory effect on influenza virus infection. • The study Anti-influenza virus effects of cocoa, made by a Japanese team conducted by Kamei M in 2016, showed that drinking cocoa activates natural immunity and enhances vaccination-induced immune response, providing stronger protection against influenza virus infection and disease onset. A cocoa extract was prepared by treating defatted cocoa powder with boiling water. The extract demonstrated dose-dependent inhibition of infection in Madin-Darby canine kidney (MDCK) cells infected with human influenza virus A (H1N1, H3N2), human influenza virus B and avian influenza viruses (H5N1, H5N9). Liposomal Vitamin C – 1200mg. 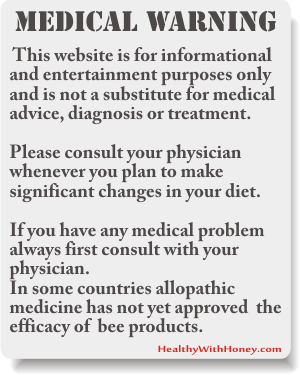 – Bee Products and Essential Oils as Alternative Agents for Treatment of Infections Caused by S. aureus, by iotr Szweda and Barbara Kot, 2016, available here.